The legal concept of premises liability is when someone is injured on property not their own, with the landowner or business owner potentially being held liable for that harm. Negligent security is an outgrowth of premises liability, and it is a cause of action that is being increasingly brought to court, especially in urban areas. It is defined as any occasion when a person is injured on someone else’s property by a third party (such as during the commission of a crime), which opens the property owner to potential liability. If you believe you have been a victim of negligent security, it is a good idea to investigate your options before going ahead with any kind of legal filing. Florida case law states that a landowner has “no duty to protect” people on the land from the actions of people over whom the landlord has no control. The exception to this is when those actions (crime, or other inappropriate behavior) are foreseeable. 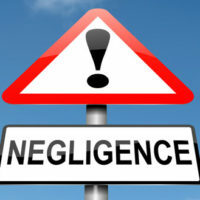 If a potential negative consequence is foreseeable (that is, if ‘prior or similar acts’ occurred nearby), an obligation does result, and a failure to live up to that obligation may be called negligent security. These cases can be differentiated from premises liability matters because the latter is an active type of negligence – failing to take precautions required by common law to protect invitees and licensees will open a landowner up to a premises liability suit, but simply doing nothing to protect visitors from crime or injury is much more passive. In Florida, distinguishing the two is important, because premises liability cases do not have the same steps as those involving negligent security. Negligent security cases strongly concern a concept called foreseeability, to the point where if an injury is not considered foreseeable, the landowner may not be held liable for it. One question often asked in analyzing this type of case is whether or not the harm done to the plaintiff was foreseeable. If the plaintiff was attacked on the defendant’s premises, it gives rise to a claim of negligent security, but only if the attack was foreseeable. If someone is mugged in the parking lot of a concert venue, for example, and there have been other similar muggings or attacks in that same lot over a period of time, Florida courts will generally hold that the crime was foreseeable. If the event is isolated, it cannot be seen as foreseeable, which can often torpedo a case. There are exceptions to the foreseeability requirement, however; if it can be shown that the landlord or property owner was aware of the possibility of crimes occurring and took steps to try and minimize that risk, any failure can sometimes be used as evidence. For example, security guards being hired and then failing to prevent crime in their purview may be used as evidence that security was insufficient or negligent (though in such a case, the claim would likely be made against the security company, rather than the establishment itself). Being the victim of an attack is a terrifying ordeal, but knowing that it could potentially have been averted is something that no one wants to contemplate overmuch. If you believe you may have a claim in negligent security, speaking to a knowledgeable attorney may be a good idea. The Tampa premises liability attorneys at the Rinaldo Law Group are happy to try and assist you. Call our office today to schedule an appointment.